Some of you are cringing and some of you are celebrating, and most of us are somewhere in between, but one thing is for sure. Summer is in its final stages and school is just around the corner. There are back to school sales everywhere. Now is the perfect time to get deals on supplies, clothes, backpacks, and new shoes. 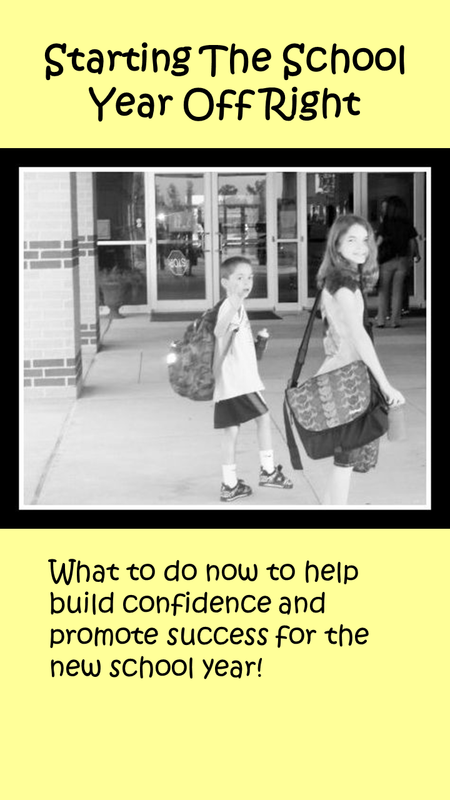 Now is also the perfect time to help your child prepare for a successful year academically. I am not suggesting a full day of rigorous home schooling before school starts, but some basic review of last years skills and preview of this years’ skills can give your child a huge head start for going back to school! Students learn best when they make connections and build on prior experiences. Reviewing previously learned and previewing upcoming Math skills with your child before school starts can help them to be more successful and confident when learning in the classroom. When I was still teaching in the classroom I would have tutoring sessions once a week before school for students who needed extra help. I would often pre-teach upcoming skills to this group. When it was time for the lesson with the whole class they were better able to understand what we were learning and participated with more confidence. I have also been doing this for years with my tutoring students and the feedback I have received from them and their parents is that previewing is very helpful. Some students like practice worksheets and drills, but most prefer games, videos, songs and more “fun” strategies. Thankfully with the internet you can find many free resources. For website ideas, see my previous post Awesome Math Websites. For printable games there are many free and low cost resources on Pinterest, and Teacher’s Pay Teachers . Educational toy stores like Learning Express or your local teacher supply store have great products to get started. Even stores like Target and Walmart have some Math games. Go Fish is great for practicing number recognition with younger children and Yatzee is great for addition and multiplication older kids. Most school districts have a scope and sequence online which will tell you the general outline of the curriculum. This can give you an idea of what skills your children you child will start with. If you are ready to get started, check out my post on Making Math FUN!! !